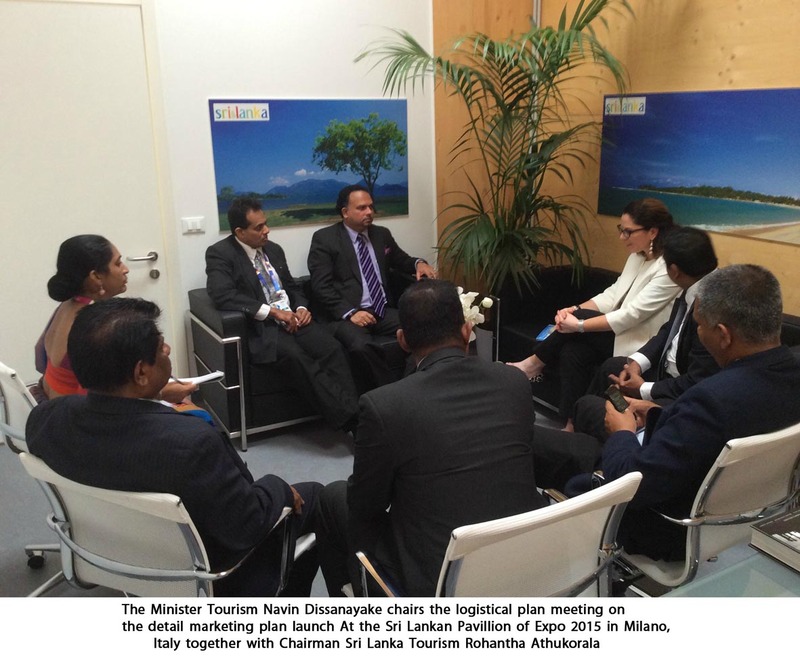 Sri Lanka Tourism which recorded a 21,000 tourists from Italy last year is targeting a thirty thousand plus visitors said the minister for Tourism and Sports Navin Dissanakaya in an exclusive interview at Expo 2015 VVIP media room, Milano Italy which was branded 'Positive transformation at work in Sri Lanka' given that there is a large ethnic minority who lives in Italy especially in the South of the country. The seventy million rupee plus marketing plan will include a trade and brand building communication mix so that it will secure a strong partnership with the retail trade and develop the Sri Lanka tourism brand as a lifestyle holiday destination said Minister Dissanayake who has given a new direction with the professionals appointed to head the key tourism policy making institutions which was gagged with corruption and financial misappropriation running to millions of dollars in the previous regime with two passports impounded. The Marketing officer is visiting the country after a lapse of two years which explains the impact of the political economy that was at play the minister added. Whilst the Italian market is in a recession for the last couple of years the Expo 2015 has somewhat stabilized the economy and the analysts say that if the targeted activity delivers on the planned marketing activity the country's economy has the potential to rebound. 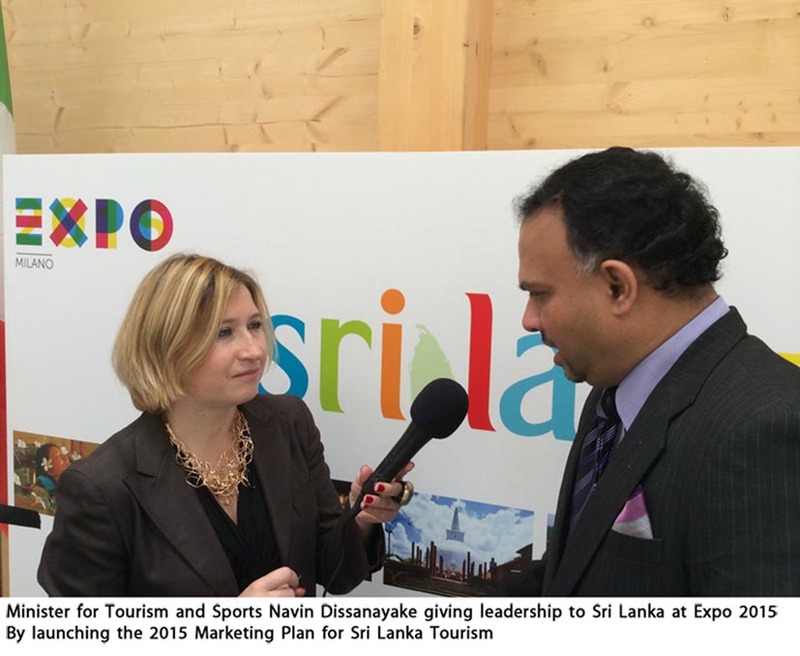 The Chairman Sri Lanka Tourism Rohantha Athukorala said the detail marketing plan will include 3 trade fairs - BIT, RIMINI and Expo 2015 that has already been launched whilst BIT took place in February this year which gave a strong buzz to the market operators that included a press conference that increased the share of voice in the Italian media. We also want to do some market development work in Milan and Verona which have a focussed marketing programme apart from the above line media and joint promotions with Sri. Lankan Air Lines which will consist of media FAMs and trade said The tourism chief who says that the new brand imagery will help the total market as Sri Lanka will be seen as a fashion destination.